I have chosen 4 important skills that are taught in this story. I also have included a vocabulary definition match, making words center and ABC Order with vocabulary and comprehension questions. Also, a few printables to go with the story. 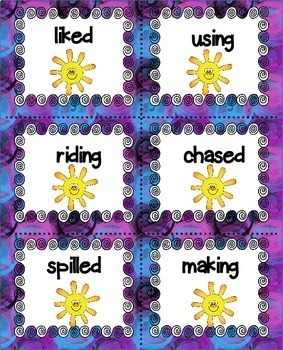 ** Endings (-ed,-ing) ~Directions:Read the sentences. Decide what word is missing in each. Match, Complete worksheet. Decide which word completes the sentence. 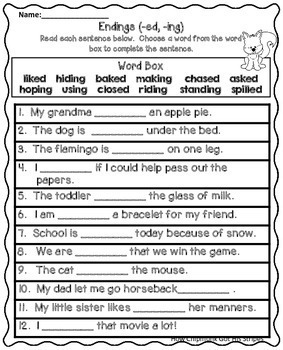 Then sort the sentences into Present or Past tense. 2 players ~ Take turns turning over 2 cards at a time. If it is match, then you get to keep the cards. Player with the most cards wins. **Name the Same ~ Write the synonym for the given word. **2 Booklets ~Create a mini booklet. Cut out and staple to the 2nd page. 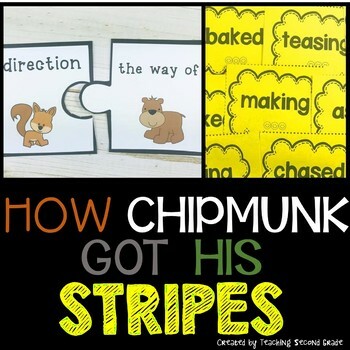 Write about Squirrel’s Words, Actions, and Traits . Also one for Bear. *Choose 2 words and write in a complete sentence. Disclaimer: These materials were prepared to align with the Journeys Reading Series by Teaching Second Grade and have neither been developed, reviewed, nor endorsed by Houghton Mifflin Harcourt Publishing Company, publisher of the original [component] work on which this material is based.